Mabel has unveiled new single ‘One Shot’, which is available today via Polydor Records. A UK headline tour has also been confirmed to close out an incredible 2018 for Mabel. 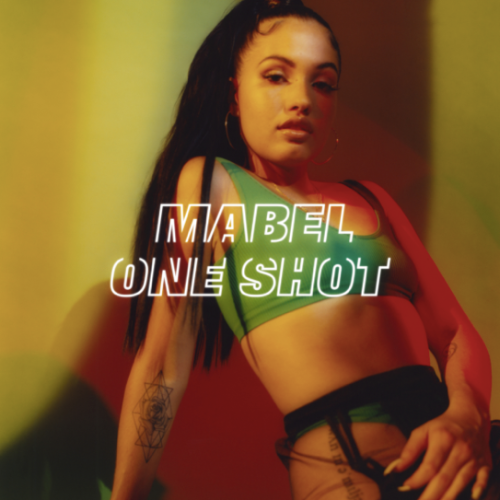 ‘One Shot’ is a further taste of Mabel’s massively-anticipated debut album, which she has worked on around-the-clock all year and follows early body of work ‘Ivy To Roses’. She has since become one of the top 500 streamed artists in the world, which include Top-15-charting collaborations with the likes of Jax Jones (on recent hit ‘Ring Ring’) and Not3s (‘Fine Line’, ‘My Lover’). A project arguably entwined in Mabel’s DNA – from finding her voice in a musical dynasty to enrolling in music college and writing songs in secret – it’s those dual forces of anxiety but quiet self-belief that ultimately have empowered Mabel to move between those worlds of music, fashion, dance, and art. The results always feel quintessentially ‘Mabel’, and in ‘One Shot’ a vital voice in UK youth culture takes her next step towards international pop stardom.